Put 10 experts from various fields in a room for 24 hours and you can be sure that you will know everything about a building when they go out. Based on this principle, Art Detective was born out of the mind of Art UK, some 3 years ago. In a previous edition of our eBulletin, 1858 explained why Art Detective was a great idea and how it was working. In a nutshell, public collections and museums are invited to post artworks for which they are looking for further information, so that anybody can give his two cents. This way, not only can art historians participate but also specialists in fields such as military, religious, architectural, engineering, medical and genealogical to name a few. It is has now been confirmed : it works !. In three years, over 100 pending questions have been resolved. Some anonymous works found their creator, some sitters got identified, depicted locations were put on the map. But with ca.130 investigations opened and their number growing by the week, there is still much to do. Part of the most significant discoveries are the attribution of an intriguing mythological scene to Flemish Golden Age artist Ary de Vois, as well as another painting to Walter Sickert. But the most touching one is without doubt this sad portrait of an unknown WWI soldier, whose found identity very much led to the artist. It is in fact a portrait of a son (Paul Chancourt Girardot) by his artist mother (Mary Girardot). One can finally understand what’s so moving about this painting. If you are curious about the research, have a look at the Art Detective website. Whatever your passion may be, you possibly have the key to unravel a persisting mystery and exchange with other passionate and fascinating characters. “Can anyone identify this unidentified Mill scene ?” : a hot topic on Art Detective. 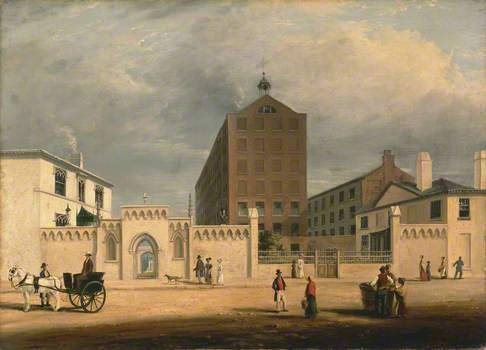 Credit : Manchester Art Gallery.